Russian troops reported in combat near Latakia and Aleppo 4.875 out of 5 based on 8 ratings. 8 user reviews. Russian forces stormed rebel positions in Sakhl al-Gab, between Latakia and Idlib in northern Syria. The assault involved Russian forces in up to battalion strength. The rebel-held heights were subjected to heavy artillery bombardment using howitzers and rocket artillery. Russian forces also had air cover in the form of Su-25M attack aircraft. The ground operation involved Russian Naval Infantry supported by T-90 MBTs and BTR-80 [BTR-82?] APCs. Right now the captured positions are held by Russian and Syrian forces. 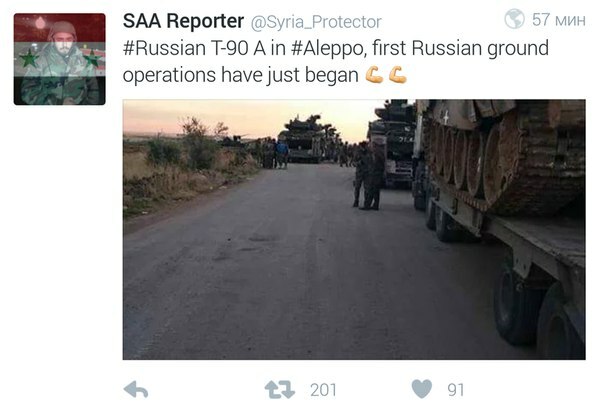 Syria’s pro-government journalists are confirming that Russian ground troops conducted operations near Aleppo. J.Hawk’s Comment: No way to tell yet whether the reports are true, but it is more likely than not that Russian ground units are participating in the fighting. Certainly the pictures of T-90 MBTs on flatbed trailers, which they would use in the event of lengthy marches rather than in security operations in direct vicinity of Khmeimim airbase, suggest the Russian ground component is no longer confined to the environs of Russian naval and air facilities in Syria. This development would be consistent with preparations reported in the weekly Russia Military Map status updates and the fact that the Syrian army is averse to conducting shock action assaults which reduces the effects of the Russian air/artillery bombardment. 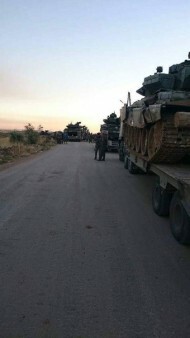 One or a few reinforced battalion battlegroups could operate as the “extraordinary force” on selected sectors of the front and have an effect on the overall situation out of all proportion to their numbers (and in fact we have seen something similar during the winter 2014/15 fighting on the Donbass), whereas the Syrian army, the “ordinary force”, would hold territory, conduct defensive operations, and create conditions suitable for the employment of Russian shock units. Well, no surprise here. The goal of certain elements of NATO is to provoke Russia into making a move that starts WW3. If Russia makes the first move, in front of the stage of the world, they will be seen as the aggressors, akin to Germany invading Belgium in 1914, or Poland in 1939. Those elements of NATO desire to look as though they are innocent and have been attacked, then they can appear justified in unleashing the hell that will be WW3 upon the planet. For instance, the shootdown was an attempt to do just that. Deploying ground based combat units after the Su-24 incident is the game theory optimal strategy if you are looking through Putin’s perspective. This limits NATO’s options for their next move. Now, in order to provoke Russia into starting the war, those elements of NATO will have to actually themselves start WW3 by attacking Russian troops fighting terrorists legally, by invitation, in Syria. The provocation itself will be the start of WW3. In other words, it will expose NATO as the aggressor, putting them on the wrong side of the history books, and rightly so, in my opinion. So what’s next? A Turkish blockade of the Bosporus? Giving AA missiles to ISIS? 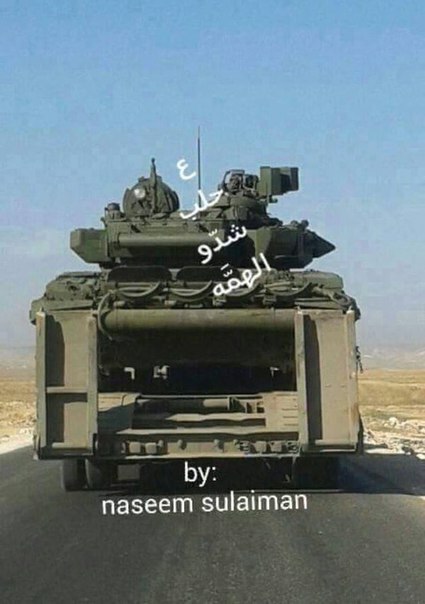 Providing air or artillery support for ISIS? Provocative troop positions on the Turkish side of the border? I don’t know, but I do know that if Turkey or any other NATO member state is going to act the way Turkey did, it will be an indisputable act of war. I don’t believe in direct war between NATO and Russia now. Probably they will escalate a proxy war between Turkey and Russia, giving Turkey all the weapons and support. Russia will be very limited fighting 3 wars (Ukraine, Syria and Turkey), they’ll enter only after Russia show any weakness to give the last stab. NATO in respect of EU interests : wrong organization, in wrong place, against wrong “enemy” and certainly wrong mission.